Jesse La Flair (yes his real name) is a professional actor, a stuntman and an internationally known parkour athlete, labeled an idol to many. Since the 9th grade he has been and inspiring kids to reach beyond their potential to limits that often surprise them. Jesse grew up in Long Island racing go-carts, dirt bikes, snowmobiles and pretty much anything that was fast and challenging. As he grew older, so did his interest in going bigger, higher and catching more “air time.” Sometimes up to 20 feet on his bike. His parents, then various skate park coaches were great supporters and encouraged him to keep trying harder, to push himself past any kind of self-imposed limitations and it was through finding his inner strength he realized there wasn’t a dream, or goal he couldn’t aspire to. He began competing in local skate parks and wracking up the wins, each one bringing more self- confidence. In high school, he got a job at a local skate park and this was a turning point. After becoming a head camp counselor, Jesse was then able to see the kinds of effects he had on others. It was now his turn to encourage and push the kids to reach unthinkable limits. Just like he had. While heading the camps he also was on the inline skate Amateur Pro circuit before heading off to college. In NYC, Jesse saw some kids jumping off tall structures and walls. He thought he would give that a try, but sorely misinterpreted what their actions really were. Despite all of his experience and passion for movement, throwing yourself into a backflip without training, well, you get the idea. Like many times before, people took Jesse under their wing and taught him the ropes. This is where he learned that safe- trained movement, getting from point A to B the fastest and most efficient way had to do with overcoming obstacles; not just physical ones but mental. He understood this logic and was hooked. He trained constantly both live and watching videos. 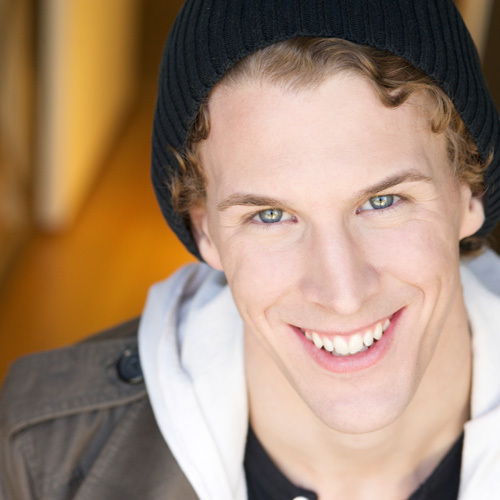 Soon Jesse was working in TV commercials as a sought after professional freerunner and parkour athlete. It should be noted that Jesse is also an amazing artist. He went to art school and some of his work can be seen below. He combined all of his talents and headed to LA to pursue yet another dream, being a stuntman and actor. Jesse of course knew of the Tempest Academy through his circles, so when they opened in Los Angeles he was there opening day. To get their attention he shot video of himself doing parkour inside the facility. It soon became a YouTube sensation. The owners were happy to take Jesse under their wing. He is loved by all, and has come full circle. He teaches the very young to much older, the physics of movement, and overcoming obstacles, both physical and mental. “Parkour has always been about progression. Setting goals, surpassing them, then setting them higher. We soon discover how temporary our own self-imposed limitations are. It’s important to understand that there is also progression in the smallest of movements, simple progress is still progress." I have seen so many people want to go from A to Z in a week and of course are met with failure, and after a while give up altogether. RT: Who was the person who influenced you the most in your life? JF: My dad. He would constantly say, “If you’re going to do something, do it right.” He never said I had to be the best, but instead put emphasis on doing it right. Both my parents had a big impact on me because they supported my dreams, whatever they were. RT: Where did you learn to be so self-confident? JF: I think one of the most important things I realized in life is the importance of surrounding yourself with humble, passionate people who are following their own dreams and 100% encourage you to follow yours. Keep negative people away. I know this is hard, and trial and error, but I have been extremely lucky. Friends, especially in parkour circles, taught me how to turn big dreams into big goals. That makes a lot of difference. RT: Of all the many things you do, what would you say you favor the most? JF: Honestly, I would have to say helping others find their potential and the positive impact that has on both of us. Parkour has given me strength and an understanding of self. I have to give back. I want others to comprehend that absolutely nothing can hold you back. So often I am asked, am I too young? Too old? Too overweight? Underweight, short, tall? All of these questions are physical when the training is actually mental. It also shows me they don’t believe in themselves and I have another opportunity to get them started on the road to progression. That is an amazing feeling. Then there are young athletes that start to feel defeated, they want to give up. After we meet, they somehow leave feeling empowered and focused right in front of you because of what you taught them. I’ve been there! There are no words for how amazing that feels. Even to get a kid off a computer for a while and try a move that they saw in a video game is wonderful to see. There are a lot of poorly made tutorials on YouTube and kids get hurt. I would much rather have them come in and teach them properly. Bones heel, scars fade, but lost confidence is very hard to find again. I believe that confidence is gained through understanding, and we must learn how to fall before we can attempt to fly. RT: What is some advice you can give to others trying to have a career like yourself? JF: I know it sounds like a cliché and it is, but never give up. You get back what you put in and you can achieve anything you put your mind to. Parkour helps you overcome fear and achieve what you thought impossible. This also goes out into your life and what I hope to leave with my students. It’s a symbolic belief that carries you through world. I always tell my students to do their research, no matter what they are pursuing. There is so much information at our finger types and a lot of people willing to help, network! But we have to ask. We have to move past our fears. Jesse trains 6 hours a week with a top acting coach, does parkour training 5 days a week, and also trains in stunts, weapons and fight choreography 3 days a week. Yet he still finds time to respond to his fans, followers and keeps giving back everything he has learned and is learning.